You can scroll a band of text along part of your employees’ computer screens - much like the ticker tape that you see on news and current affairs TV channels. The result is text appearing in the form of headlines that employees can see while they are at their screens which they can click on. You have complete control over whom you send specific news headlines to and when you can send them – everything can be automated or scheduled, or you can push scrolling headlines out quickly when you have urgent breaking news. You can also use the desktop ticker to send news, article follow-ups and updates, and links to internal communications. Because not every message will be relevant to every single employee in your organization you can set up specific groups of recipients based on your Active Directory, to receive particular messages. This means that you can send custom information to individual teams, work groups, specific departments – or your entire company. 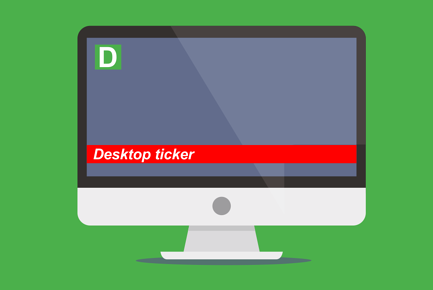 You can use many different ways of making the most out of a desktop ticker to improve communication with your staff. For example, you also have the ability to set multiple headlines, add hyperlinks and determine how users will receive or dismiss the scrolling ticker, By using the scheduling features you can schedule or launch the news ticker tape to appear on specific dates. And the metrics tools available to you will let you measure how effective sending messages has been. Find out who saw your messages and when they saw them. Send custom messages to specific teams or departments or even to individual users. The Scrolling Ticker keeps a history of all messages that you can use for reference. Pre-schedule news and event information to appear on the ticker in advance, making it flexible according to your schedule. You may only need to contact your employees occasionally, but with a long message that contains lots of information, including reminders and requests. 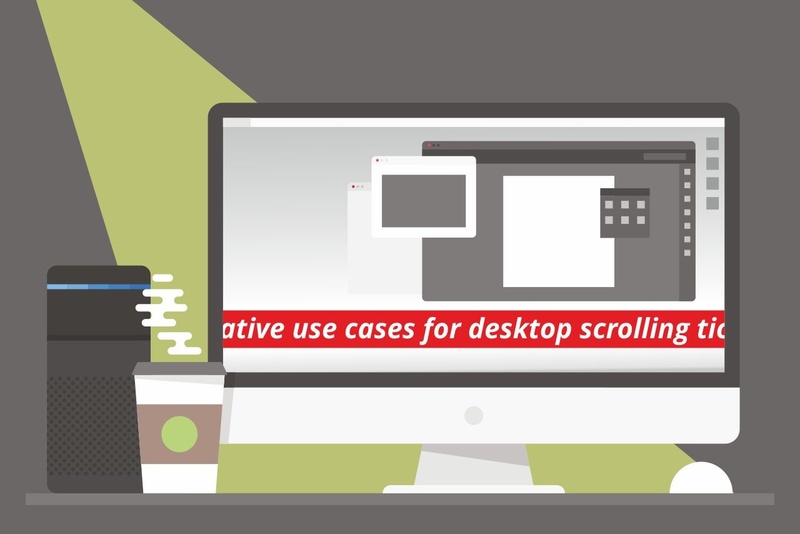 If this is the case, a desktop ticker could be a good solution for you. Provide you with acknowledgment rates to measure effectiveness with full real-time reporting.